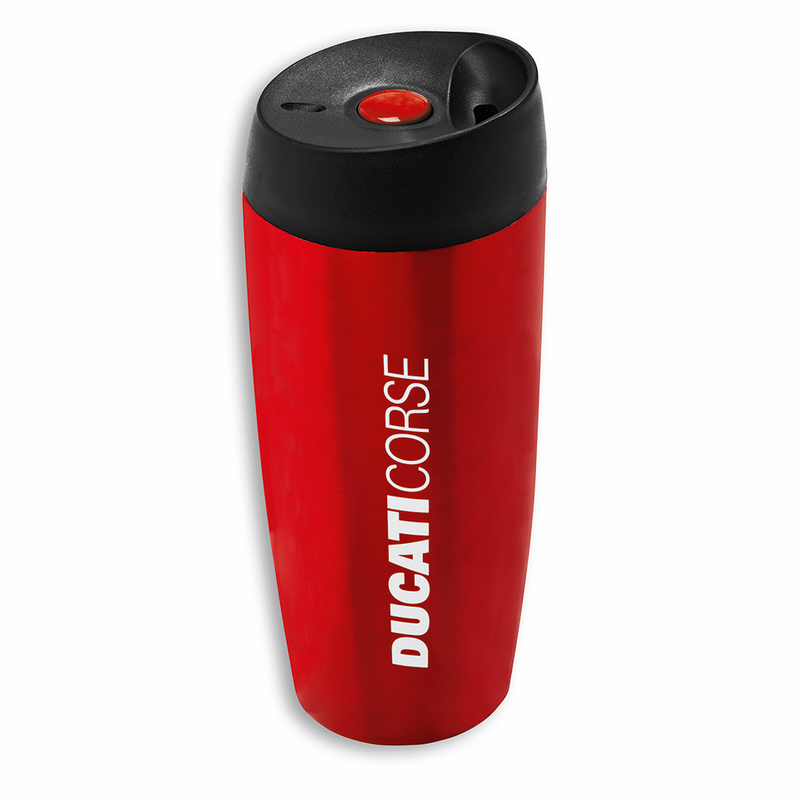 The unmistakable travelling companion that's signed Ducati Corse. Made with a twin steel wall and in line with the strictest American standards. BPA-free polypropylene stopper with practical opening and closing button. Capacity 450 ml (8x20.5 cm).